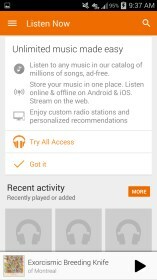 Google Play Music – Soft for Android 2018 – Free download. Google Play Music – Amazing rendition of Google Play Music. 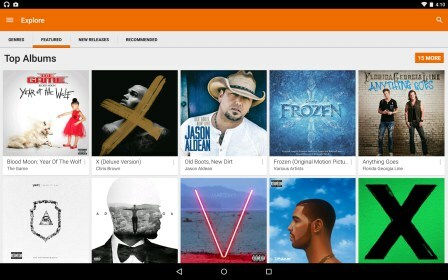 Google Play Music for Android is the portable edition of Google Play Music. 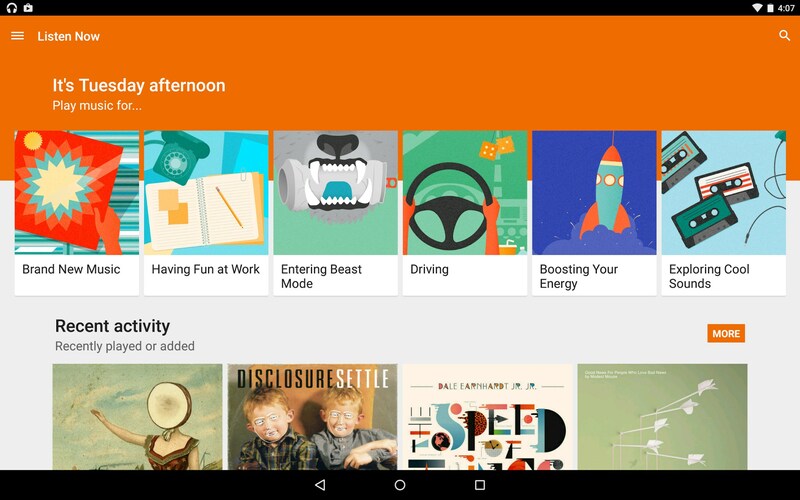 The app is streamlined, efficient, gorgeously simple, and intuitive. By using the cloud based storage Google provides, you can have access to your music anywhere which is super convenient and orange. Yes, you heard me. ORANGE! 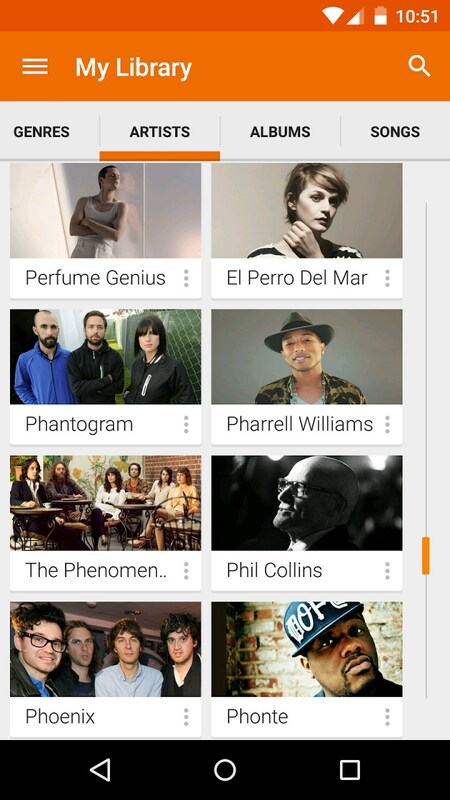 Your music is presented to you in this app in neat organized tabs that include listen now, my library, playlists, instant mixes, and shop. In the listen now tab you have your recent activity and you have the brilliant “I’m feeling lucky” feature which I use all of the time. 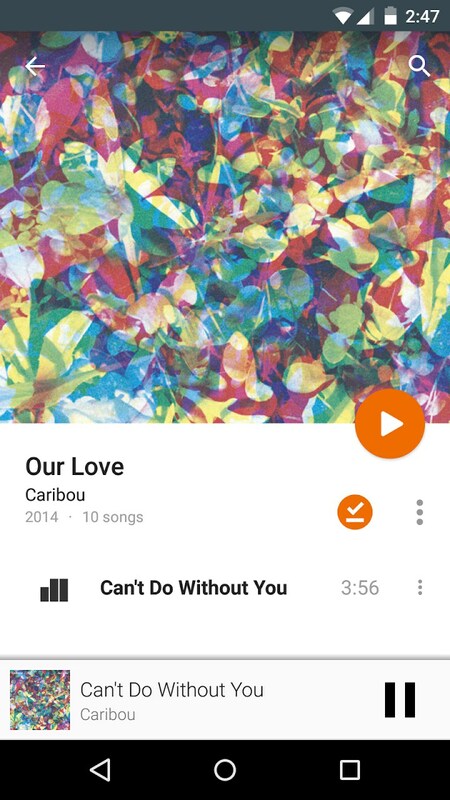 Its similar to a shuffle feature but something about it always manages to work well. 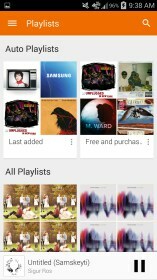 Instead of just shuffling, it actually creates a random playlist with music that goes well together. 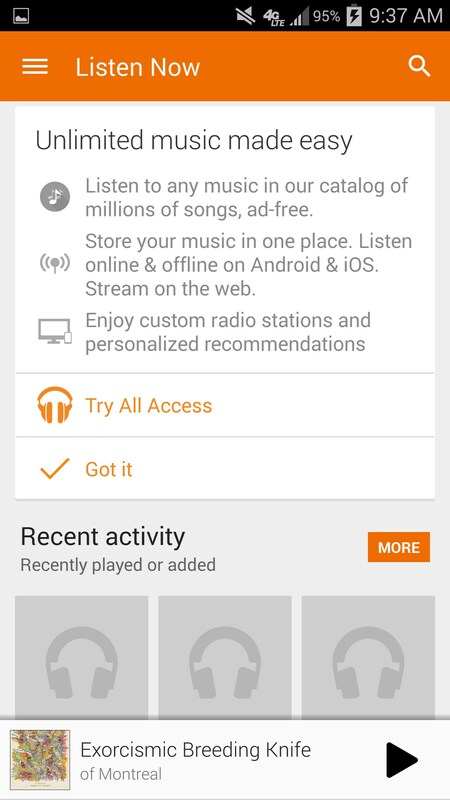 This feature is perfect when you are in the car and just want music, or if you want to listen to something but don’t know what. 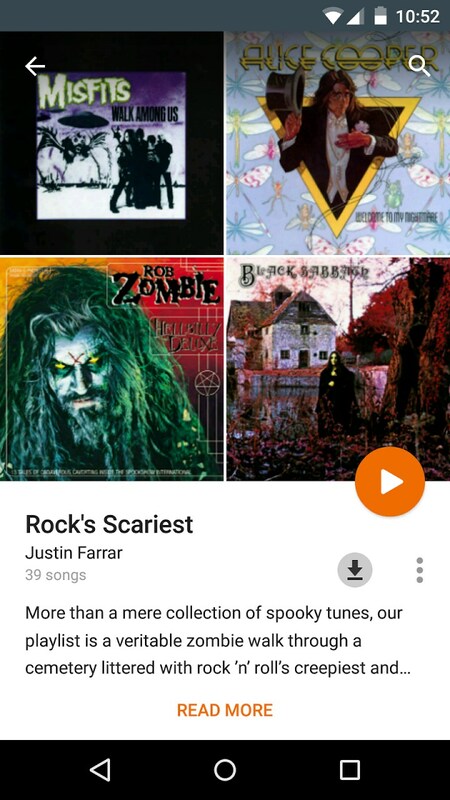 It takes music from everything on your Google play music so usually the playlist comes out diverse and fun to listen to. Besides the “I’m feeling lucky” feature, most things about the app seem pretty standard and easy - which as it should be. 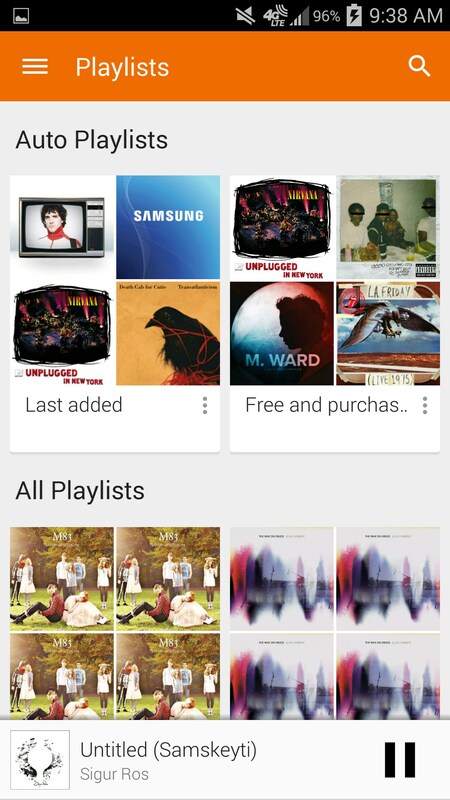 I like how Play music focuses on images and artwork when it shows you music because it makes your albums and collection feel more real and personal. 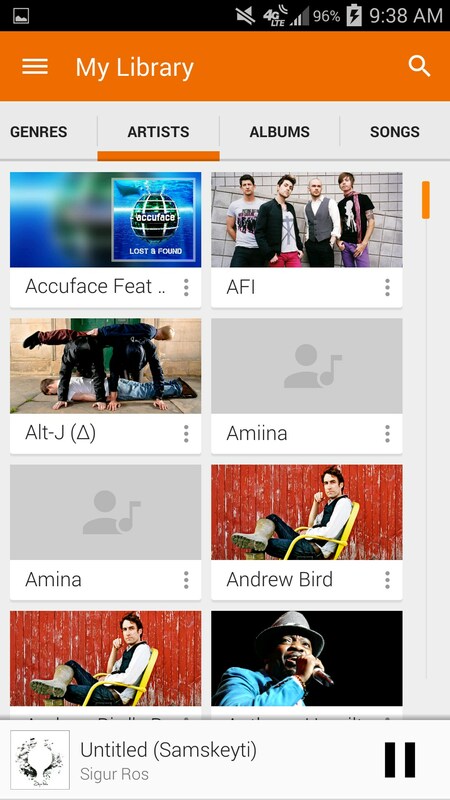 In the my library tab you have genres, artists, albums, and songs to sort through. 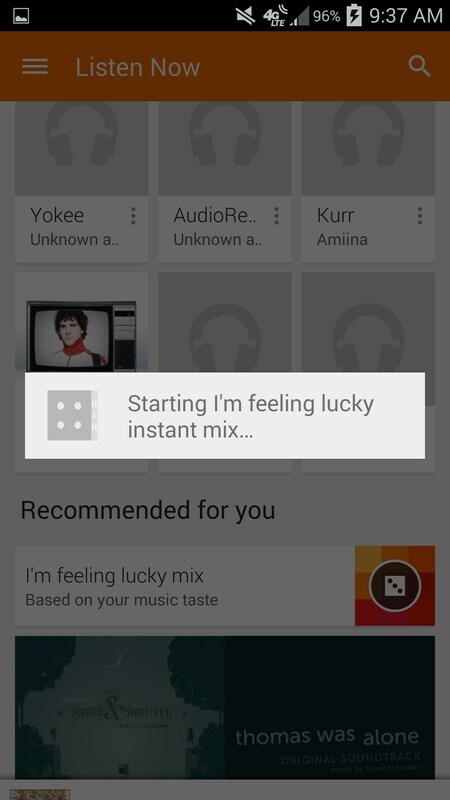 The instant mix feature is cool as well, although its similar to Apple’s “Genius Mix” feature. You pick something to base the playlist off or like a song, or an artist and then a new mix is made for you to listen to. This would be great if you are listening to music whith somebody else who only likes a certain type of your music. 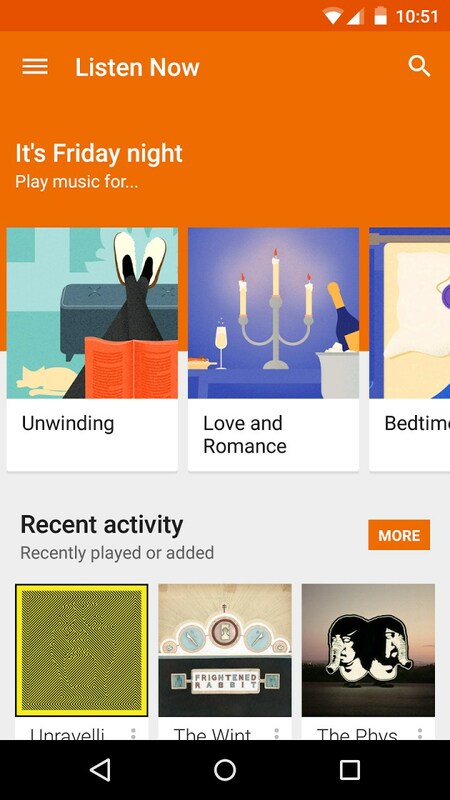 Google Play Music has the great qualities of Play Music in a wonderful mobile form with great emphasis on artwork cover, a cool orange style, and an intuitive simplicity that makes music stand and find you.